Care Tips | Marble Maintenance Enterprise Inc.
1. Use a few drops of mild liquid detergent to a gallon of water. (example: PLAIN Dove, Dawn Joy, no extra oils to make it smell good like lavender). You do not want to make it sudsy. Clean your stone. 2. Then take clean water and rinse the floor. 3. Finally, take a towel and dry the stone. This is the most important step, as it will pull the dirt off of the surface. The sealer needs to be re-applied periodically depending on how much you wash the floor. 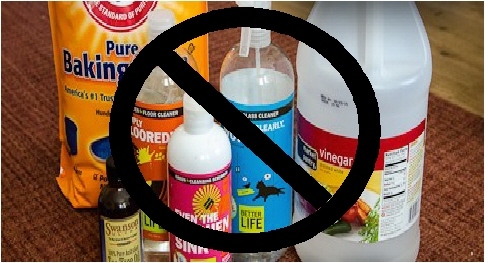 DO NOT use any harsh chemicals (Top Job, Tilex, Vinegar, Bleach, Baking Soda etc.) as this will remove the sealer the first time, as well as damage some natural stones like marble. If you Spill ANYTHING on your stone you will want to clean it up as quick as possible. Anything with an acid base will remove the sealer. Wine, Soda, Orange Juice, any type of Sauces, Hairspray, Animal Urine are only few that we see often. If time or manpower is short, be sure to Clean then Dry, this will remove all the dirt from the surface.